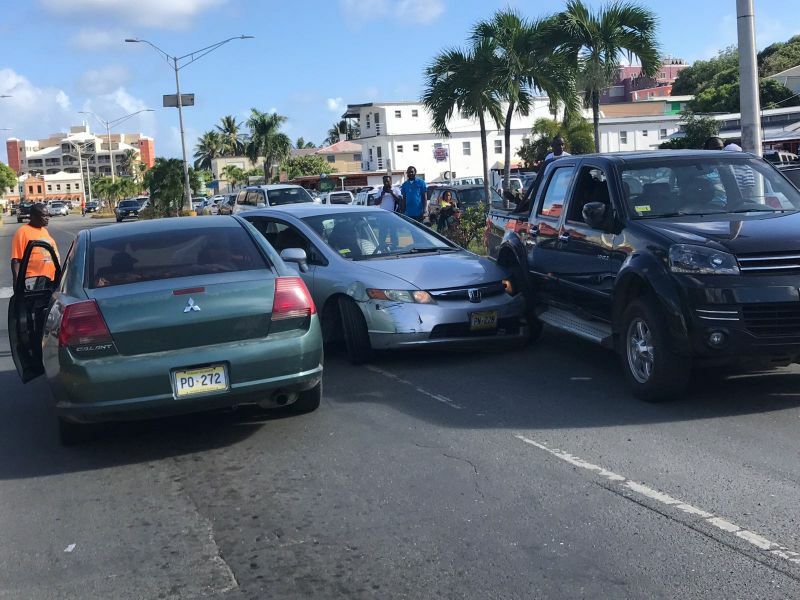 ROAD TOWN, Tortola, VI- Traffic along Waterfront Drive, between the Road Town Roundabout and the traffic lights, was temporarily interrupted following a three-vehicle accident that blocked the entire road. The mishap took place some time around 3:20 P.M. close to the pedestrian crossing near to Clovers today, February 1, 2017. 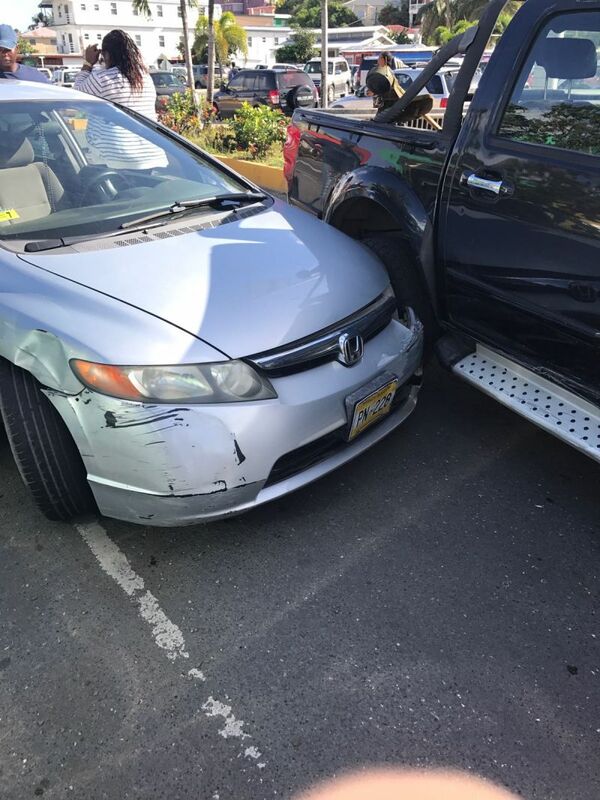 The accident left one vehicle almost sandwiched between a car and a pickup. According to reports, no one has been injured. 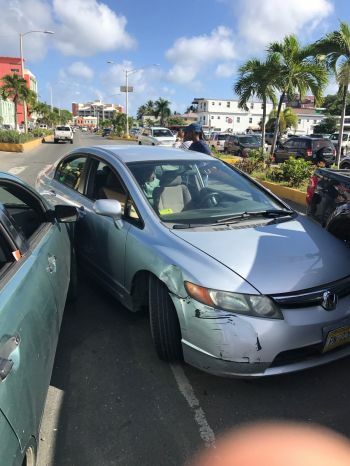 Police are on the scene conducting their investigations. If now serious injuries they need to move these vehicles out of the road.